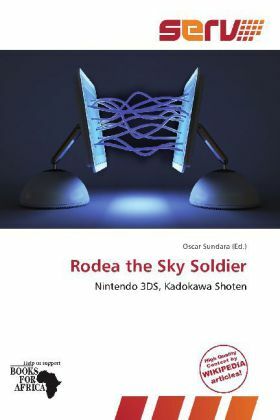 Rodea the Sky Soldier is an upcoming action video game developed by Prope and published by Kadokawa Shoten for the Wii console and Nintendo 3DS. Rodea the Sky Soldier was first alluded to in a 2010 interview with Yuji Naka by ComputerAndVideoGames.com, calling it "a very original action game based in the sky." ComputerAndVideoGames.com especially has "high hopes for this one". For the Wii version, gameplay consists of controlling the game's protagonist Rodea by aiming with the Wii Remote at solid objects and pressing the B button to have Rodea fly in parabolic arches.